Soldier Aviation & Ammunition Examiner: Passed 12th class with Physics, Chemistry and Mathematics as main subjects or have secured three years diploma in any discipline of Engineering. Candidates interested to serve Indian Army as Soldiers must fill the online application form through the official website http://www.joinindianarmy.nic.in/ before the online application process ceases (Last date: 30Th October 2018). 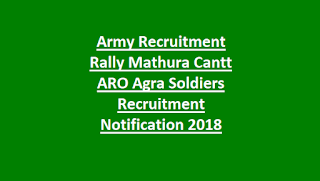 Candidates interested to participate in the Army Recruitment Rally at Mathura Cantt. 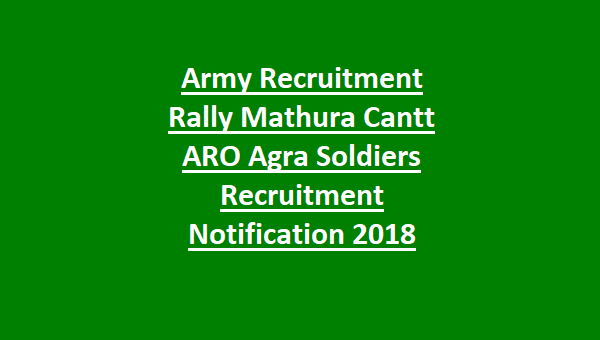 for Soldiers Post can refer the official notification.